Visitors comment on the Danebank atmosphere. They remark that our girls are happy and friendly, that they are confident and comfortable in their school. We believe that this comes from the positive, nurturing approach we have to our students. Danebank girls make their mistakes in a forgiving environment. They are encouraged to persevere, to be resilient and to know their strengths. They develop self-confidence and positive personal standards that equip them for meaningful adult lives. 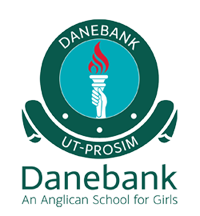 Danebank prides itself on the pastoral care network it has established. Staff members are highly experienced and are committed to positively nurturing our students, to uphold and develop the unique personal strengths of each girl. Staff members know the girls well and they liaise with one another and with parents on behalf of students. Year Coordinators have in-depth knowledge of their students’ needs and undertake the special care of their Year groups. They liaise with staff and parents to ensure that the needs of their year group are understood and promoted right throughout their high school years. Pastoral Care, or BOND, time is usually held twice a week. BOND groups are small groups lead by a teacher and in Years 7 to 9, led by Year 11 Student Leaders. In BOND, students focus their activities on the precepts of Positive Education which assists students to flourish by understanding themselves. During this time students look at personal goals, character strengths, stresses and how to deal with them in a resilient manner. They learn how to re-frame setbacks, look for solutions and plan their way forward. Year 11 Peer support leaders assist Year 7 to settle into High School. Year 11 students act as Bond Leaders to Years 8 and 9. Year 12 students are offered additional assistance where they focus on study skills, stress management and other issues.